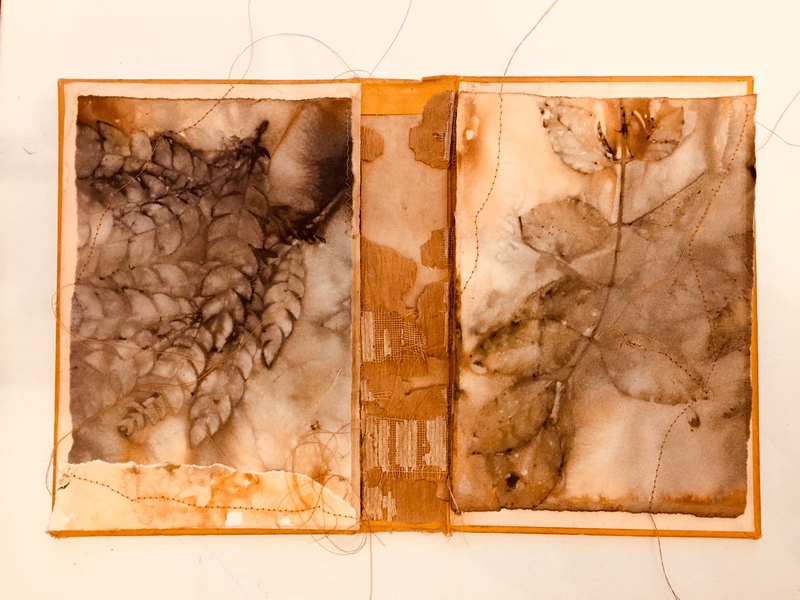 FULL CIRCLE, a duo exhibition by Dianne Hoffman & Su Evers May 7th – July 5th, 2019, opening reception to be held Saturday, May 11th from 5 – 7pm. Artist Talk and ArtSpan Mixer: Thursday, May 30th 6-8pm. San Francisco artists Dianne Hoffman and Su Evers explore through mixed media the ebbs and flows of an evolving relationship. 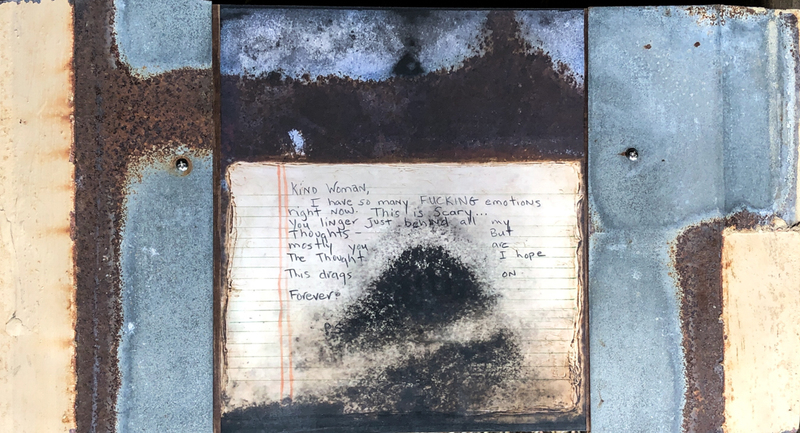 Using found objects, reclaimed wood and manipulated photography, they collectively take the viewer on a symbolic, personal journey from admiration to crush, passion to collaboration, trials to resolution, heartbreak to healing and then back around to an unwavering alliance of friendship. Dianne Hoffman creates dimensional vignettes of allegories by linking organic objects with industrial and figurative remnants and combines complementary muted color schemes to harmonize dissimilar media. She was born and raised in the suburbs of Southern California and moved north to become a resident of San Francisco in 1988. The City by the Bay, with its loving embrace of everything extraordinary and endless resource of possibilities, came to cultivate and nurture her creative impulses. She has been a full time assemblage artist of salvaged and repurposed components since 2010 with work found in collections worldwide. 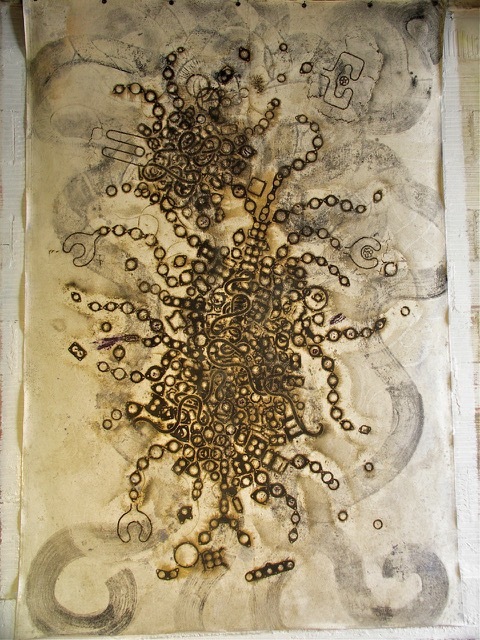 Su Evers is drawn to the worn and deteriorating elements of weathered wood, rusty nails, found objects and trampled on paper discovered on the streets of San Francisco. For this series she has assembled photographic digital frescos and printed photographs combined with found elements to capture a poetic depth of nostalgic fluidity. Su has lived and worked in San Francisco for the past thirty years and is currently creating art in a barn in Woodside. FULL CIRCLE will open with its reception Saturday May 11th , complete with light refreshments. The event is free, please join us for this great show! Once open, the gallery is open for viewing and purchase everyday, from 9am -4:30pm. There will also be an artist talk and ArtSpan Mixer on Thursday, May 30th from 6-8pm. DisposABILITIES is a group show with Denise Laws, Heather Law, Marianne Mitten, Mariana Nelson, and Kevin Tuszynski, all using repurposed materials destined to be disposed. They are all inspired to rescue and manipulate materials that are predestined for landfill. They seek and acquire these materials and are driven by their limitless possibilities. Denise uses single use foil lined packaging like tetra-Pak and food/beverage packaging. Kevin and Marianne work with paper scraps. Mariana works with plastic bags of all sorts. Heather works with Press Mold and Slip-cast trash. This show begins on March 7th with its opening reception from 5 – 7 pm and runs through May 3rd, 2019. Through various arrangements and repetitions, the organic forms, shapes, and patterns of “Mylar Reveries” reveal the hidden elegance of reclaimed debris used as a medium, in large as a much-needed reminder of environmental awareness. The ultimate goal of this on-going body of work is to divert the refuse, such as single-use foil lined packagings from landfill and recast into graceful topographies that echo and reflect nature, landscapes, and horizons. 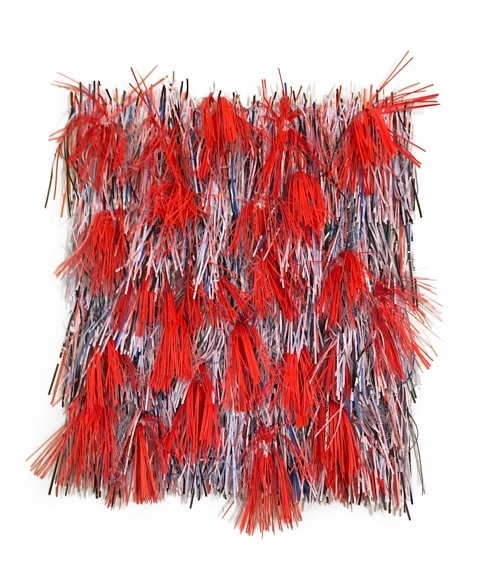 Heather Law’s artwork is a dramatic depiction of American material consumerism and the resulting waste it creates. The repurposing of personal detritus makes an ethical claim on the viewer, an invitation to reflect upon one’s own daily interactions with these common objects. The transformation of trash into slip-cast ceramic sculpture emphasizes the permanency of our growing landfills in an ever-increasing disposable nation. After working on computers and websites as a graphic designer for years, Marianne really missed working with her hands. 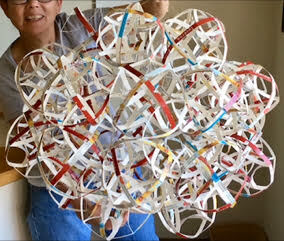 Creating art with recycled paper strips became a natural transition. There is a lot of waste when it comes to printing: make ready sheets, trimmings, folding, gluing, etc. 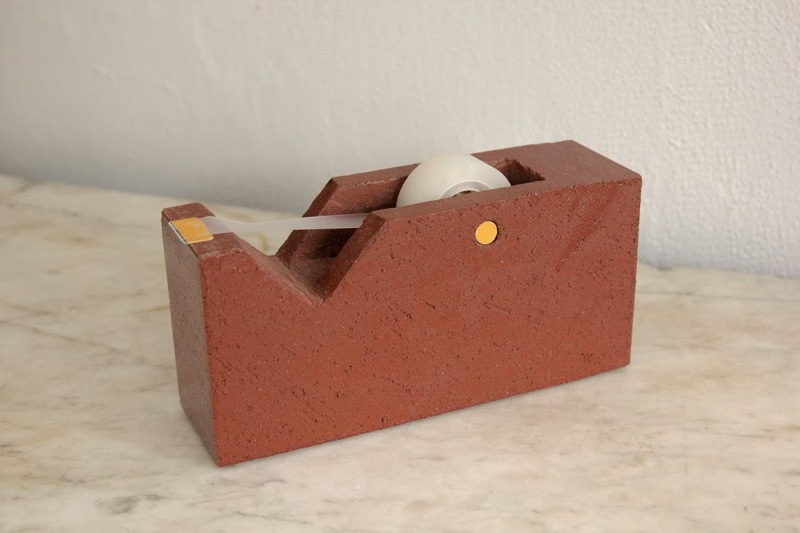 so instead of buying paper, why not create art with this instead. Marianne never has a preconceived idea when it comes to making pieces. She allows the medium to drive the piece. Mariana’s work captures material like spools of thread, plastic biohazard bags and thousands of coffee cup lids, and turns them into meaningful, thought-provoking art. First is the degree of transformation: processing and inducing techniques – turning “garbage” into art. Mariana has an even greater purpose for these objects once they are transformed. Warped plastic lids are altered to the point that, together, their petal-like forms read like beautiful, vibrant fungus, perched on trees. “Chaos/Crisis” are works made during a dark period in Kevin’s life. However, the works are not dark at all. 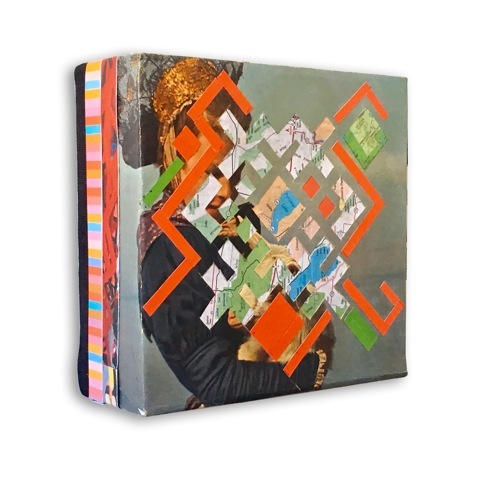 The use of clashing colors and mixed patterns are used to portray the disruption of his life at that time. “Road Trip” series was inspired by finding a box of road maps in a neighbor’s recycling bin. The soft greens and blues in the maps play with the bolder colors he already works with. Kevin also works with other scavenged paper, print trimmings and fabrics. One imagines “traveling at the speed of light”…the other travels slowly, monitoring each breath. Marilynn Pardee works with industrial materials, Marlene Aron builds from the natural world. What holds the work of these two artists together is their love for detail, exploration, discovery, and construction of their seemingly disparate works. Marilynn works with iron, auto parts, tire prints. While Marlene uses flowers, leaves, soil, wood ash, paint and glacial rocks, layered onto canvas and wood. Theirs is a world of contrasts, and yet they sit beautifully together. Marilynn Pardee creates lamps, furniture, screens and clothing, often painted and printed with tire tracks from cars, trucks and bicycles. “Motion is the essential element of my work. The series is titled ‘Light in Translation’. I imagine traveling at the speed of light, leaving random colorful tracks. Each piece is created with scavenged and recycled materials, assembled and welded with my trusted assistant Miguel Ayala. 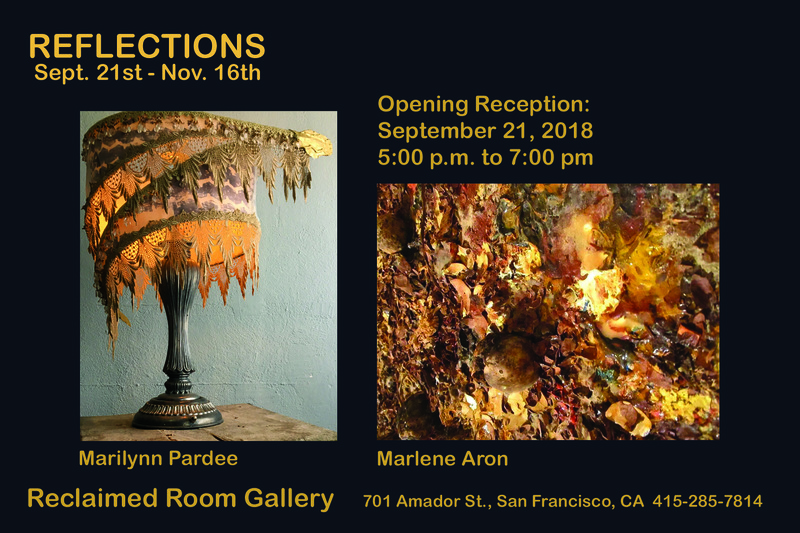 Anchoring the show will be five beacons varying 6 to 8 feet tall, entitled Hope, Joy, Inspiration, Peace and Mirth.” Marilynn Pardee’s reflections are inspired from her early work, “reimagined and illuminated”. Marilynn Pardee: The lamp on the card is titled “Hermes,” the Greek messenger of the gods. Marlene Aron: detail, “Searching for Meaning in the Forest of Plenty”. Mixed media, natural material and paint on canvas. This exhibition begins Friday, September 21st with an Opening Reception featuring live music from Wishing & Bone. It will be on view through November 16th 2018.
re – imagine is the combined works of Aiko Cuneo, Kathryn Hyde and Monica Lee. 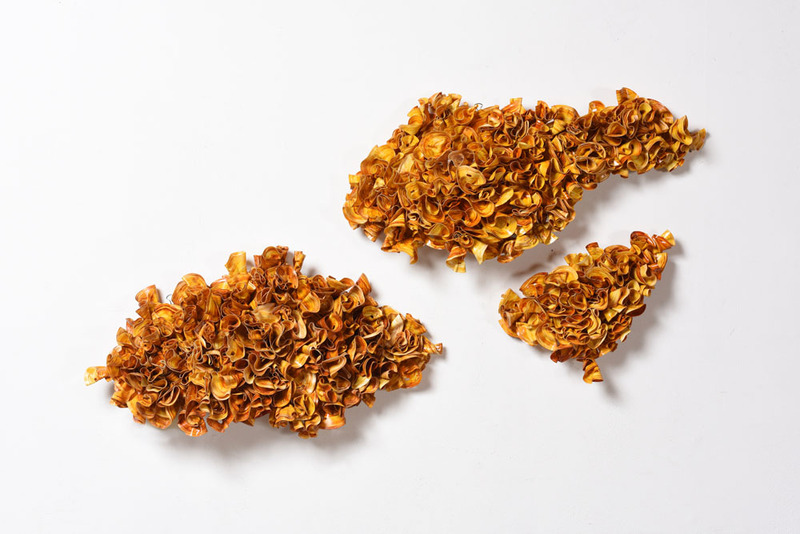 Known for their involvement with SCRAP here in San Francisco, these three artists invite you to re – imagine common everyday items in a new light, and with an artistic purpose in mind. Some of these items used in the show include: discarded books, paint chips, milk cartons, junk mail, coffee sleeves and postage stamps. This exhibition opens Friday, July 20th with a public reception from 5-7pm and can be viewed through September 15th 2018. 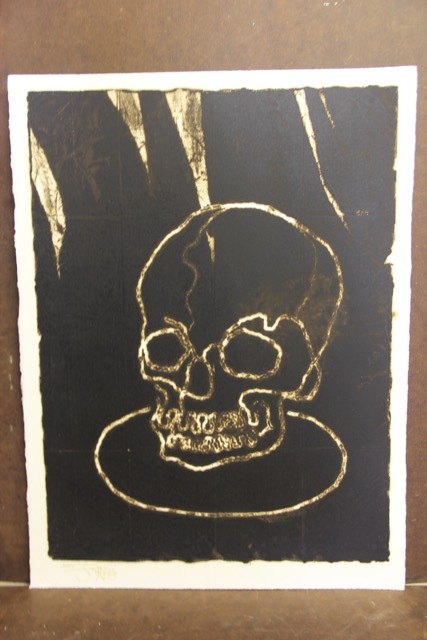 Kathryn Hyde‘s artistic endeavors include sculpture, printmaking, collage and photography. Hyde’s investigation of architecture and design is found in the elemental details in her sculpture, etchings, and photography. Her creative spirit was influenced by her mother’s interest in architecture and ceramics. 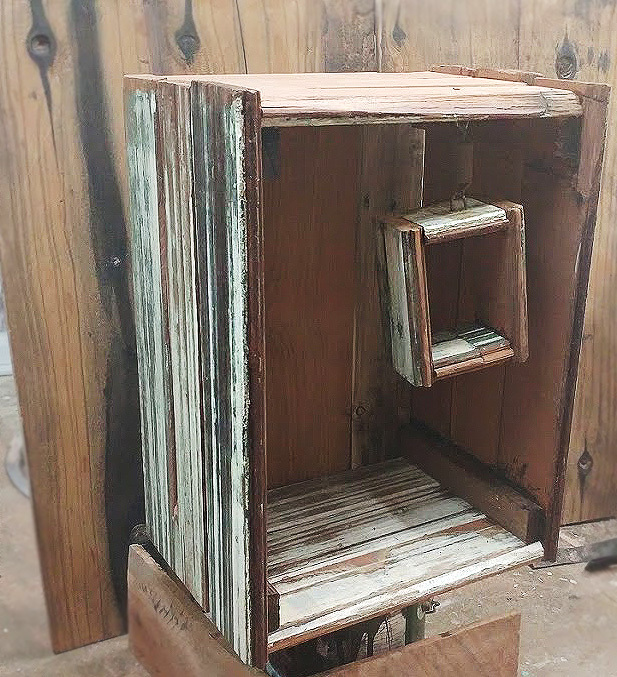 Most recently, she is constructing sculpture incorporating reclaimed cardboard and decaying materials. 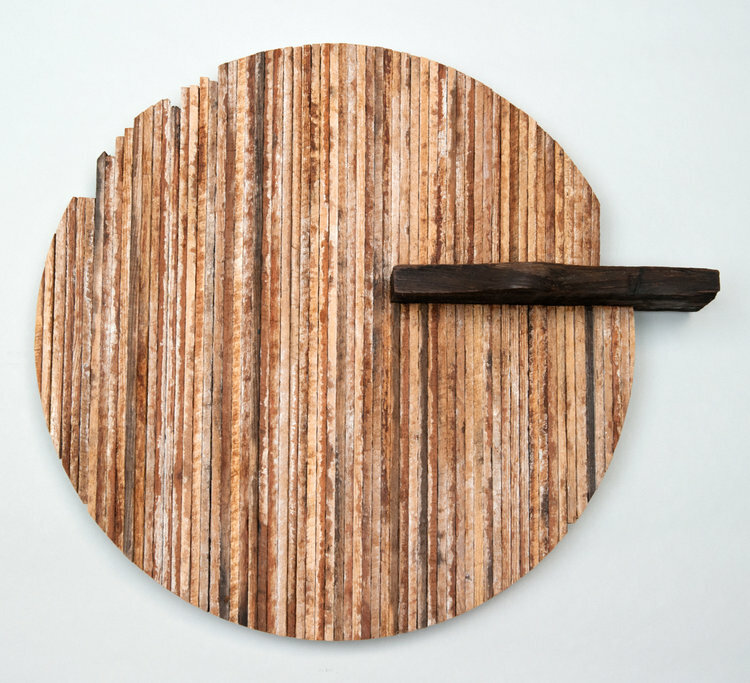 The sequence is created from common, everyday materials including withered wood, discarded cardboard and rusted metal work. 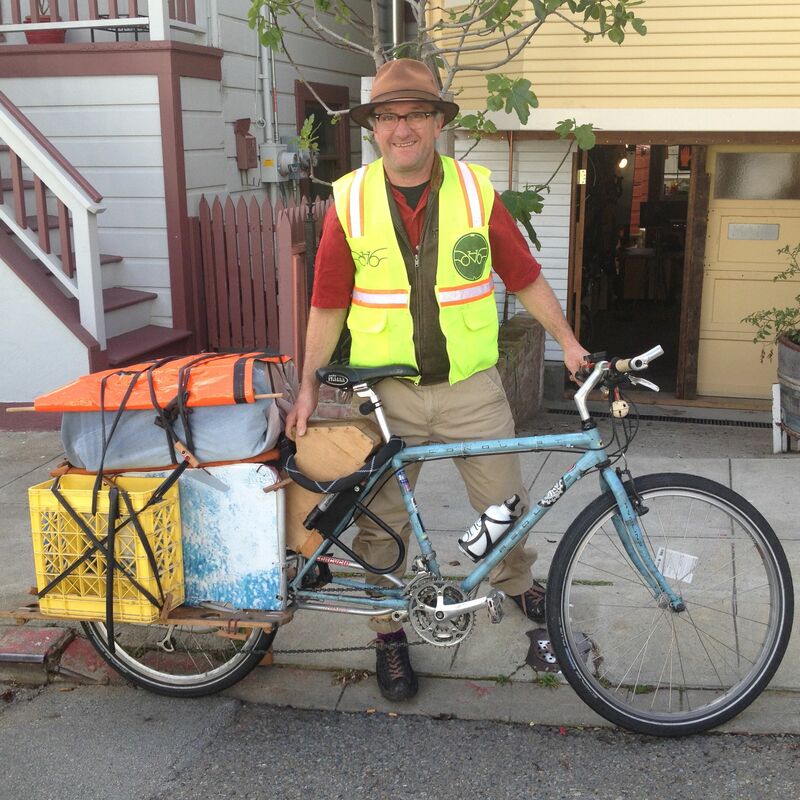 Hyde scavenges from city streets, generous building contractors and reuse yards. She carefully pieces the object together, rather like completing a puzzle. Hyde’s work is based on her concern for the natural environment and losses from natural disasters, especially the recent fires in California. These sculptures depict her affinity for the land, and her desire to preserve earth’s precious materials and natural resources. Her hope for the future is sustained by the dedicated individuals and organizations working creatively to protect the air, water and soil. Hyde’s work is exhibited in San Francisco at the Thoreau Center for Sustainability and the SF Department for the Environment. After 30 years as a freelance film photographer in San Francisco, Monica Lee has returned to her first love of making things out of reclaimed and found materials sometimes using discarded books, inner tubes, bottle caps, postage stamps, found paper and fabric in her artwork. Her childhood was spent watching her dad making and building things large as the family home to small pieces of folk art using primarily reclaimed materials. At a young age she wanted to build and make things just like her dad and they collaborated on many projects from childhood to adulthood! Her dad Philip was her biggest supporter and inspiration in her artwork until his passing at age 97. Monica dedicates her artwork for this show to her beloved dad. Monica lives in San Francisco with her husband Jonathan Rapp and their children Elana and Samuel. Monica teaches creative reuse workshops at Ruth’s Table, S.C.R.A.P., The San Francisco Campus for Jewish Living, FabMo and the San Francisco Center for the book. Monica blogs occasionally at http://www.artfulrecrafter.com . Opening September 15th, 2017 we have a show not to be missed!!! 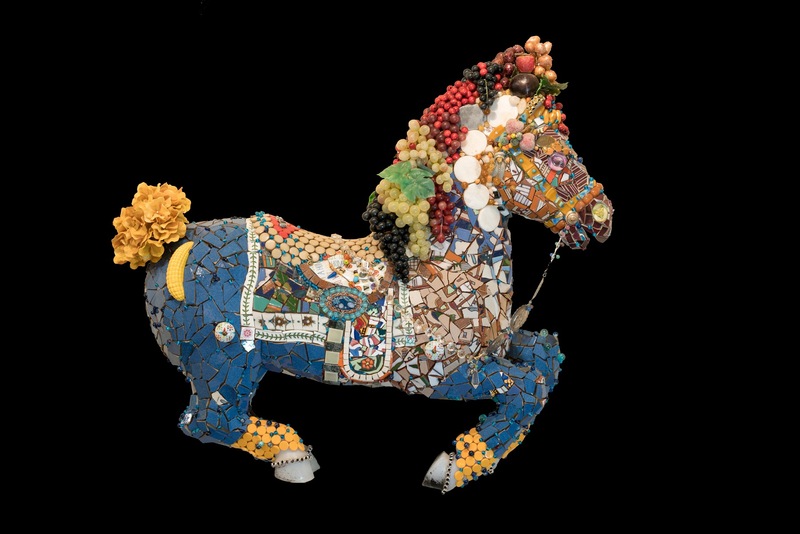 Three incredibly talented mosaic artists will be featured together for the first time: Connie Murray, Kim Larson and returning Reclaimed Room Artist from 2013, Martha Jones. 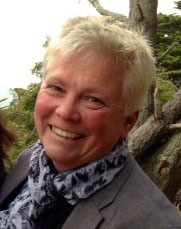 Connie Murray is a licensed Marriage and Family Therapist and Person-Centered Expressive Arts therapist. She has been artistic all her life; doodling, building lamps, sculpture out of obscure objects, and painting the interior of her home a variety of colors. 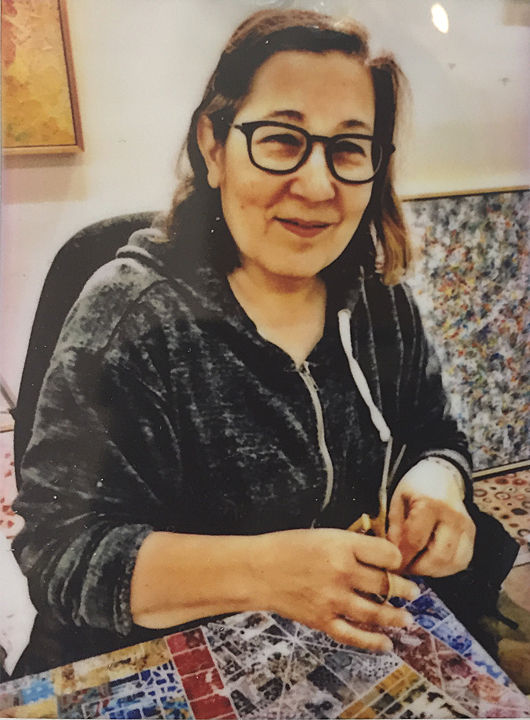 Fifteen years ago Connie began tiling household furniture as an expressive outlet not only for herself but also in her practice as a healing resource for addiction recovery. In her practice following the sequential PCEAT approach all artistic venues offer a path to personal growth and healing. 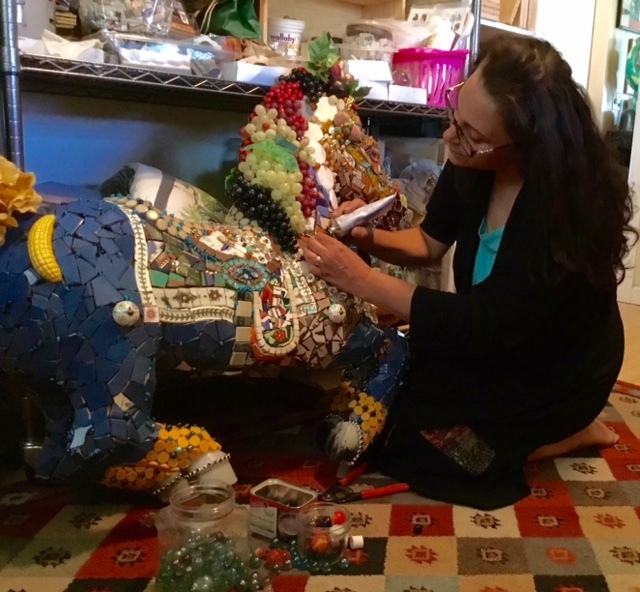 As an older adult diagnosed with Attention Deficit Hyperactivity Disorder and Dyslexia she has found that mosaic sculpture is a perfect medium for her artistic expression. The meditative quality of mosaics provides a vehicle for gaining an in-depth understanding of life experiences, and to organize ideas. Additionally this meditative quality has allowed her to seek a graduate degree as it structures time to process research. 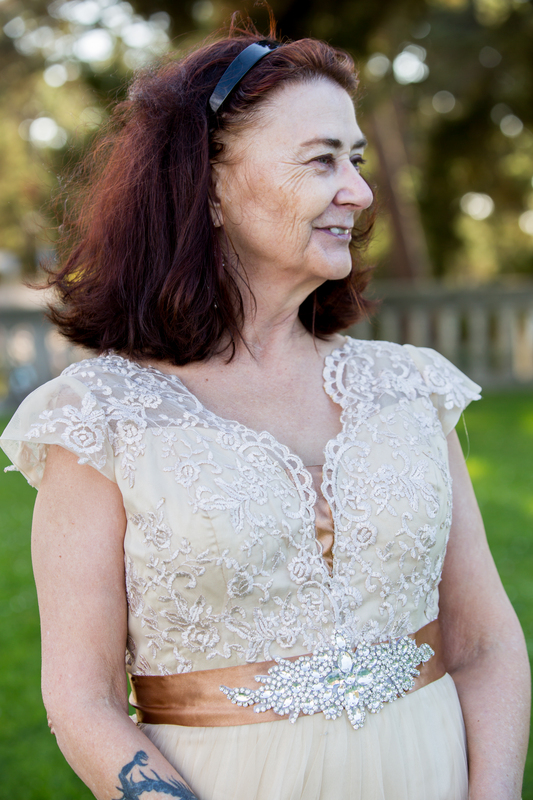 She is currently pursuing a PhD in Psychology at San Francisco’s Saybrook University with a certification in Expressive Arts under the guidance of Natalie Rogers, PhD., REAT. 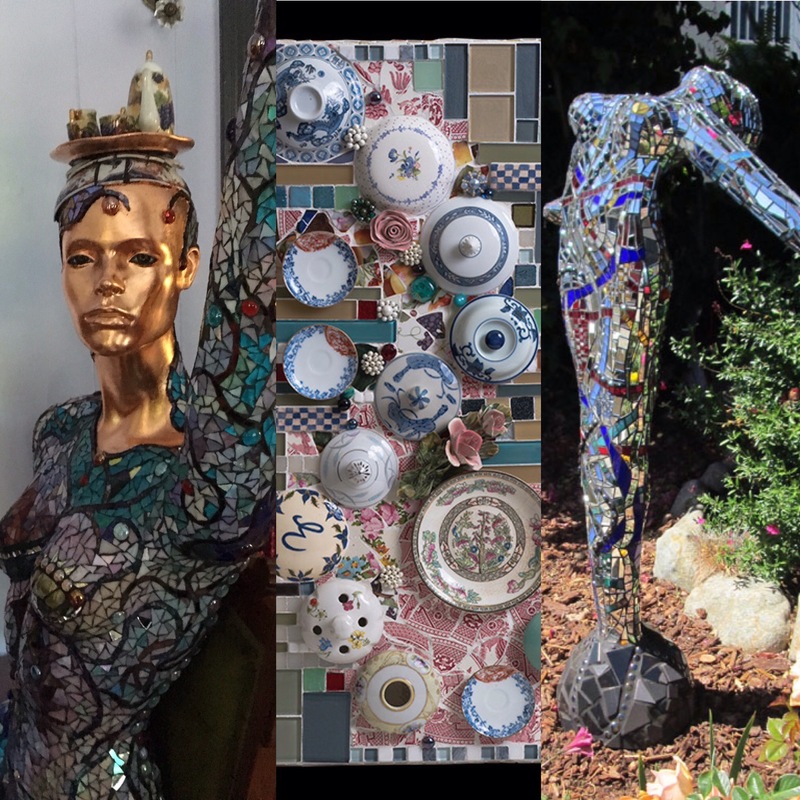 Connie’s mosaic adventure crossed over from furniture to mannequins when she was given a dancing figure and decided it was the perfect platform for expressing the frustrations of the transition through menopause. 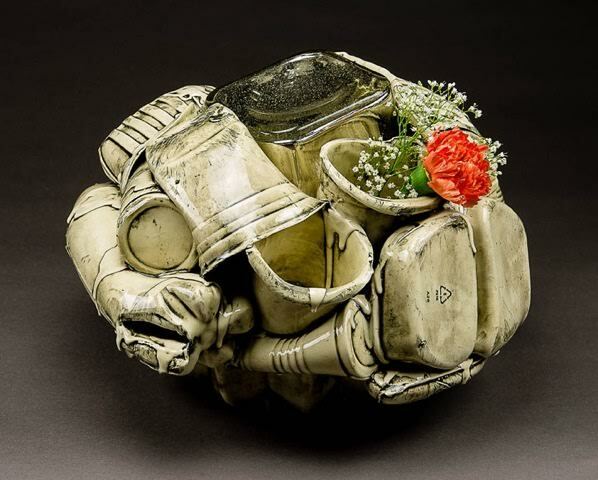 Her creations include a variety of glass, mirror and found objects in strong colors representing feelings involved with women’s issues, death and life transition, and the women who are currently or in the past have been an important part of her life. Martha Jones at work in her studio. 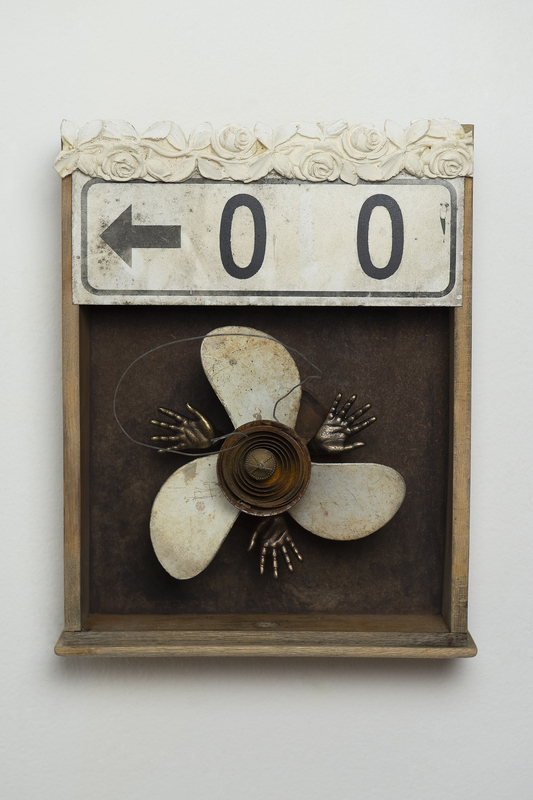 As a Reuse and Upcycle artist, Martha’s work is created from discarded materials. Her quest for abandoned treasures are found on the street, in salvage yards, in thrift stores, yard sales or gifted, just to name a few. 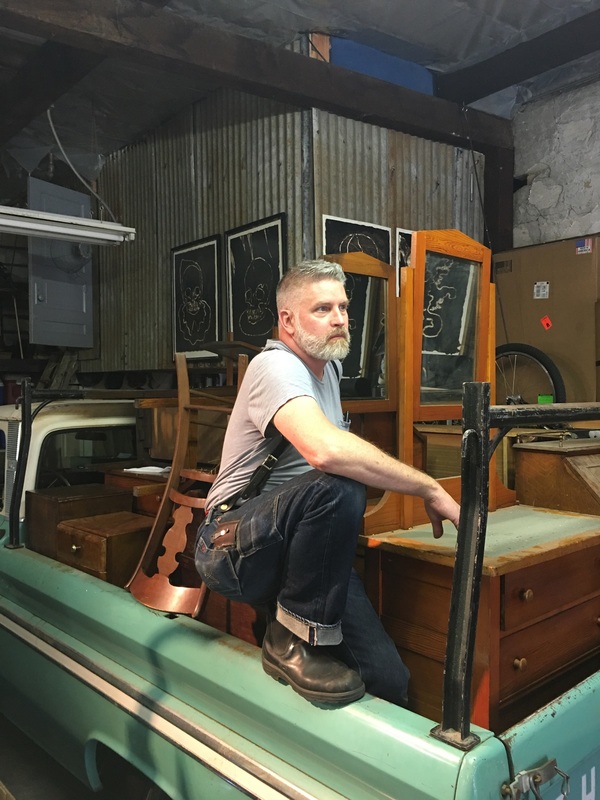 Degreed as an Interior Designer, but with a passion for salvaging, Martha’s work is lively and humorous. Her color combinations and compositions reflect her professional training and inner talents. Kim Larson’s exquisite mosaic work honors organic form as well as delights the eye. Using stained glass, broken china, recycled glass & mirror, found objects, etc as tesserae, Kim works in a playful and unique style. The show will run from September 15th through November 10th. We are thrilled to present Transport Me, a dynamic two-person exhibition featuring sculptor Kat Geng and figurative painter Jon Levy-Warren. Using the once modern -and now extinct- phone booth as a central metaphor, Transport Me investigates what it means to travel to another realm, another time or another space without actually moving. Mining found-object canvasses sourced from the streets of San Francisco and the scrapyard, the artists have built a colorful collection of works: Geng with her playful repurposings and Levy-Warren with his portraits of refracted reverie; which explore objects and the power they have to carry us away. The exhibition will be on view July 14 through September 8, 2017 with an opening reception on Friday, July 14 from 5-7 pm. Visual art, music, literature, food, film, books, television, colors, sounds, smells, drugs, and technology all act as transportation vessels with the uncanny ability to tug on our imagination and memory. But where does this leave the phone booth and other relics of outmoded virtual travel? Where do these technological fossils take us? To whom do they connect us? Are they places of nostalgia? Do they transform us into Superman? Or, like Doctor Who’s Tardis, whose police booth literally can take us anywhere in space and time? By asking these questions, Geng and Levy-Warren begin the journey of discovery, examining how free thought allows us to escape our physical surroundings. Drawing on her transitory lifestyle, Geng’s artistic approach allows the viewer to explore her whimsical alterations and humorous point of view wherein a whole, wild universe can be accessed by stepping thru the door (or phone booth) into her creative mind. 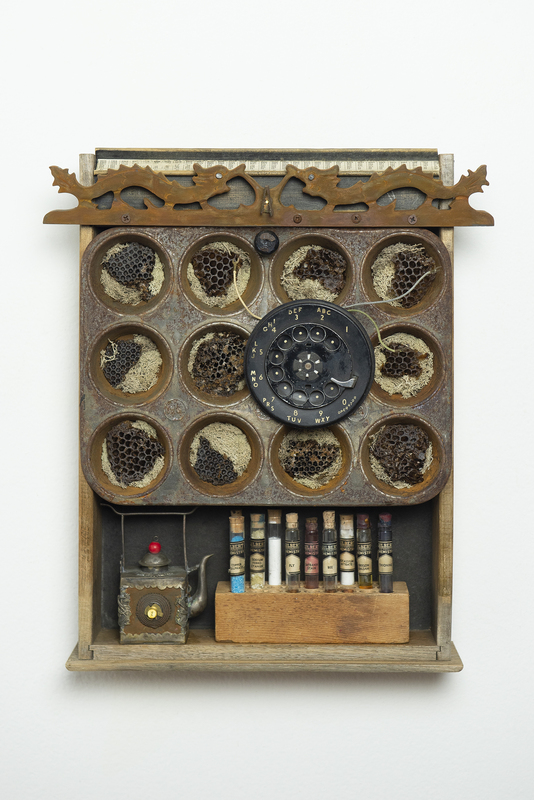 She combines found objects form a new narrative based on common associations the items hold. In so doing, she requires that her audience put forth effort as they use their imagination to travel to new and unexpected places, giving old gadgets new meaning. Levy-Warren creates with the intention of conveying his audience out of their physical bodies and into an otherworldly setting. Through this welcomed displacement from reality to fantasy, he encourages viewers to learn to see and understand themselves from a different perspective. The figures in his compositions are characteristically staring off into space, connected to one another in the ether, yet isolated in real life. His subjects are at once physically present and absent having transcended the material world into immaterial space. As an itinerant Colombian-American artist, Geng has lived in over 100 houses in the Bay Area (as well as a dozen in Massachusetts and Mexico), becoming adept at transporting her belongings. She began her professional relationship with objects while working as an art conservator in North Adams, MA and Guanajuato, MX and continues to bring them wherever she goes. Geng has shown extensively in San Francisco, CA and was awarded artist residences at The Midway Gallery in 2016 and the Vermont Studio Center in 2017. Recently, she curated Om, I’m Home, an interactive exhibition at The Luggage Store Gallery in San Francisco and enjoyed a solo show at Counterpoise. She received a BA in Art History from Bard College, Annandale-On-Hudson, NY. Levy-Warren grew up on the Upper West Side of Manhattan as a nervous wreck. There were people everywhere. He figured out that by focusing on individuals and becoming fascinated by them, the masses of humanity and the world itself faded away. He has spent his life allowing himself to be transported into other people’s little worlds. He studied film and video making alongside drawing, painting and printmaking as an undergraduate at Princeton University. Levy-Warren lived in Brooklyn, NY and Stockholm, Sweden before beginning to bounce around the Bay Area in 2012. He continues to be inspired primarily by people and their environs. 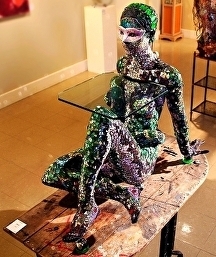 He has shown extensively at galleries in San Francisco, including the Luggage Store Gallery. 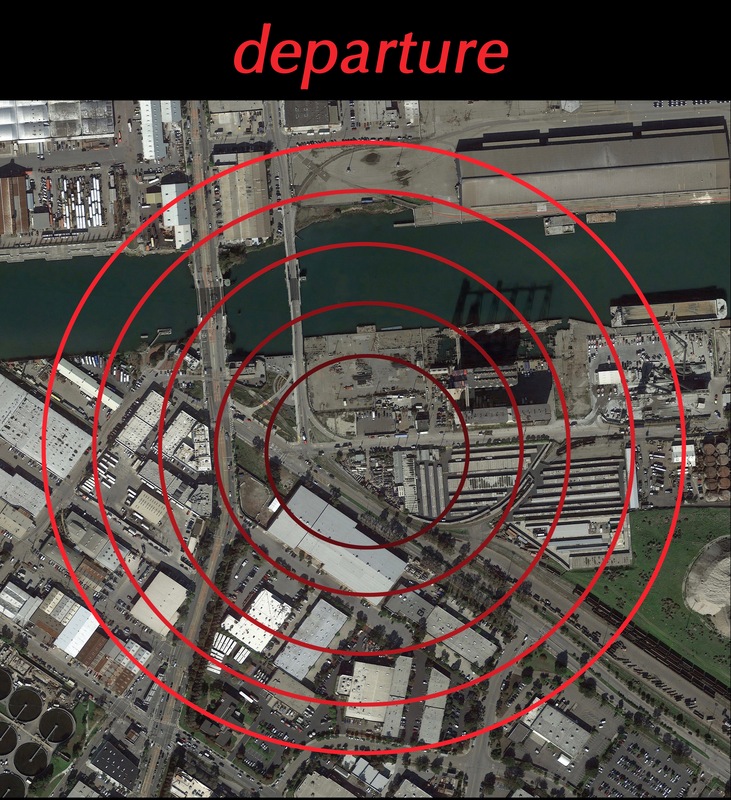 departure is the work of these five material driven artists: Tim Armstrong, Ramiro Cairo, Katerina Connearney, Miles Epstein and Rachel Leibman. They are gathering together for the first time to create an art and shopping experience in the most immersive way possible, in a place where things “just show up”. Innovated objects will be presented in a way that can inspire you to see them in a different light. The show opens Friday, May 12th and will run thru July 7th. 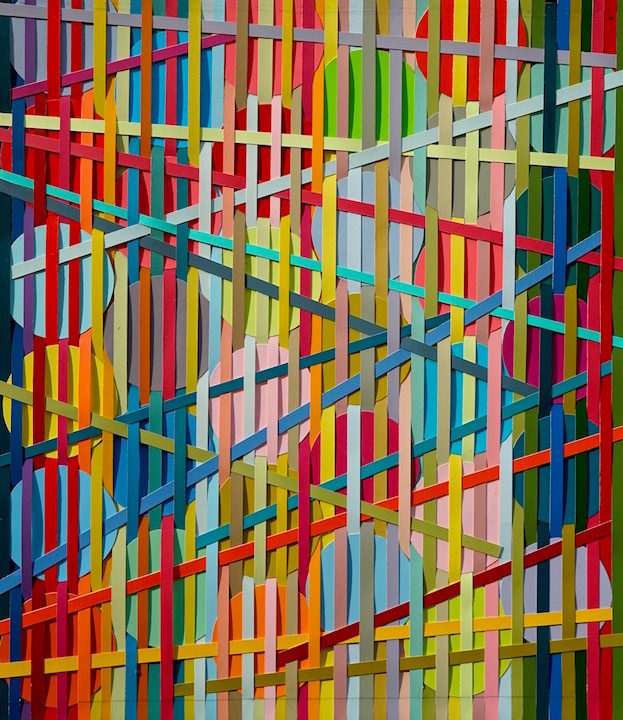 Ramiro Cairo is an Argentine artist, based in San Francisco. 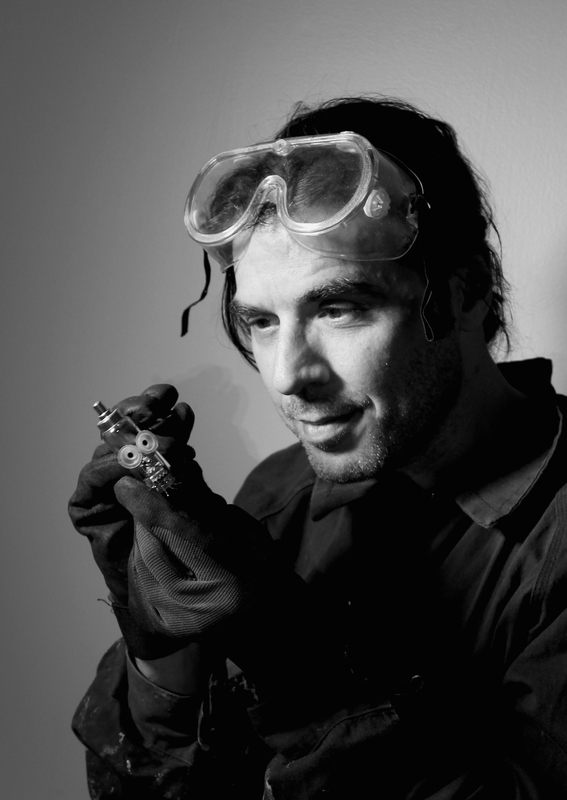 His speciality is the reuse of disused objects and technological scrap, creating works of art and design, such as TV mirrors, TV coffee tables, circuit board lamps, vacuum tube figurines and sculptures in limited editions. Rachel Leibman is a mixed media artist from San Francisco. Her artwork spans the gamut from tiny two-dimensional collages to room-sized installations. The unifying thread in all her pieces is repetitiveness and obsessive attention to detail. 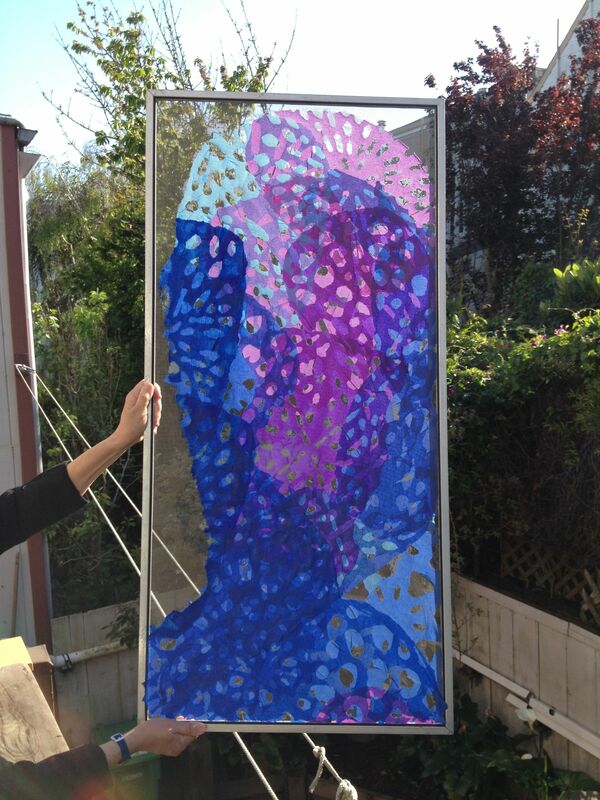 Leibman’s process is extremely meticulous and labor-intensive. 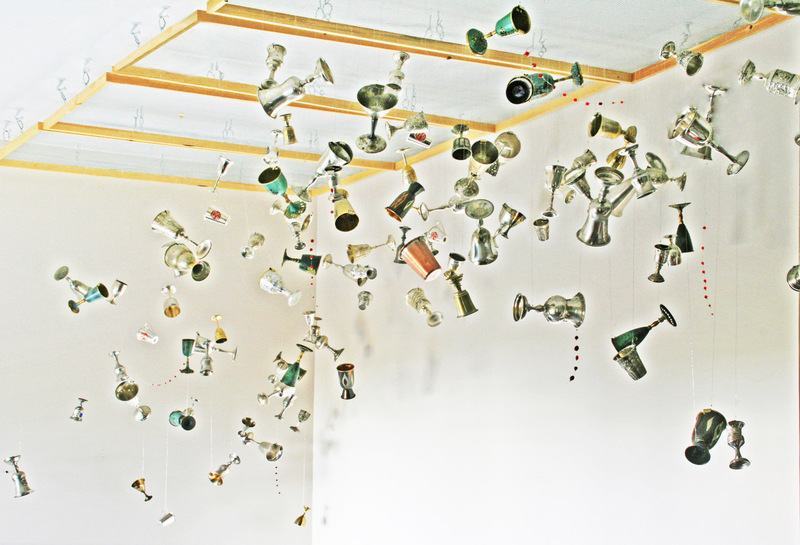 For the “departure” exhibit, Leibman has chosen to display two large installations from her “Vessels” series. “Elijah Makes the Rounds” is composed from vintage kiddish cups; goblets used in Jewish rituals such as Passover seders. With a sly sense of humor, this piece evokes sweet childhood memories. “Daily Dose” is composed from hundreds of plastic prescription pill bottles, collected from Leibman’s friends, family, and her own personal stash. 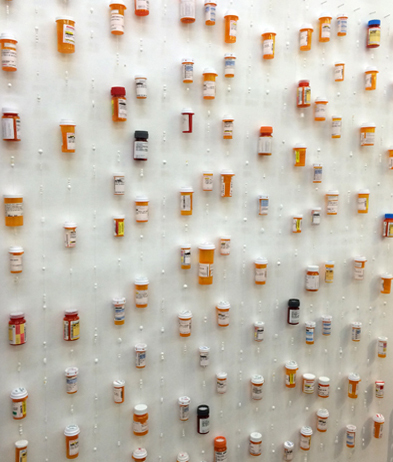 This piece is a commentary on the state of the pharmaceutical industry in the U.S.
Leibman’ artwork has been exhibited in numerous solo and group shows on both coasts. 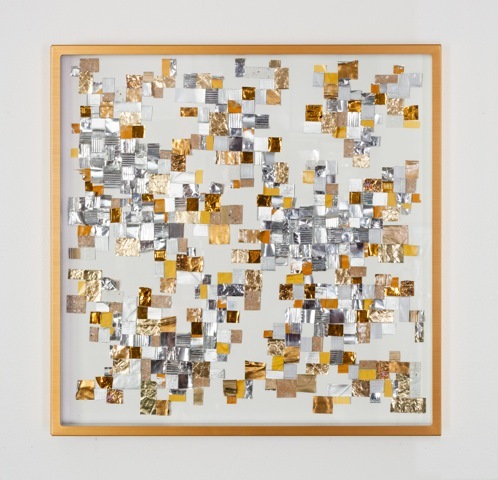 Her collages are part of many private and public collections including Kaiser Permanente in San Francisco, American Airlines HQ in Dallas, and the Art Collection at the Hebrew Home in New York City. still time to view the works of Heather Law, Marianne Mitten, Mariana Nelson, Kevin Tuszynski, and Denise Law.